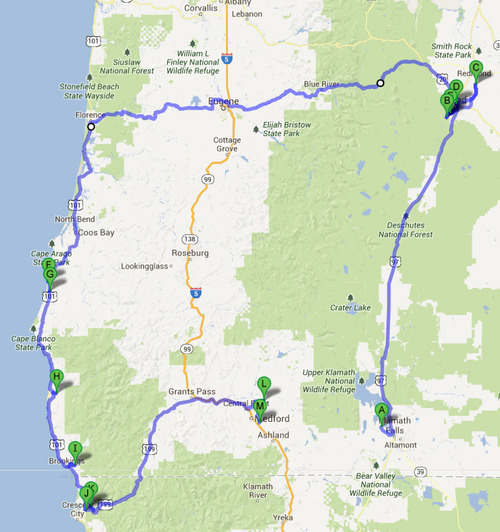 I didn’t have much of a break between big trips this year and I ran myself pretty ragged throughout the past 6-7 weeks on a number of different local road trips, the big vacation in Alaska and then this longer road trip into Oregon. Still, I’ve been having a lot of fun and my recent trip up to Oregon was no exception. I was actually headed back home for my 20-year high school reunion, but I can never resist turning a full week off from work into an insane golf adventure! For the purpose of these awards, I will focus on only the courses that were “new” to me. Though all are shown on the map below for reference, I will leave out my hometown tracks (Del Norte, Kings Valley and Salmon Run) regarding any of the ranking below. I know them all too well and they weren’t what I was most interested in on this particular trip. 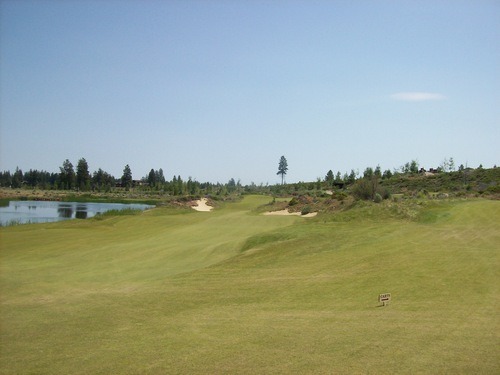 Though the layout is a bit more funky and the conditions weren’t quite as pristine as other Bend courses I visited (still quite nice, though), River’s Edge did feature the best scenery. With a lot of great changes in elevation, plenty of big trees and natural rock formations, and views of the city below and mountains in the distance, it is an easy winner in this category. Running Y Ranch is also quite scenic with a nice secluded vibe, even though there are a few houses and resort buildings around the course. 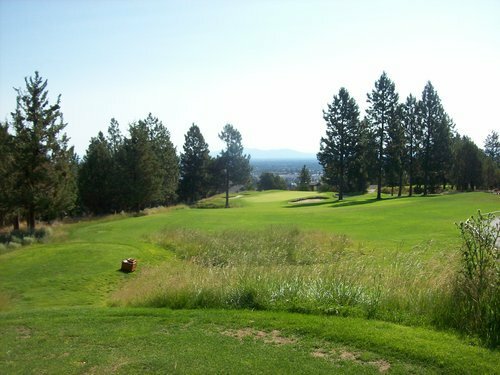 Stone Ridge offers some great views from a few elevated tees and is a very scenic track with a mostly secluded setting, as well. 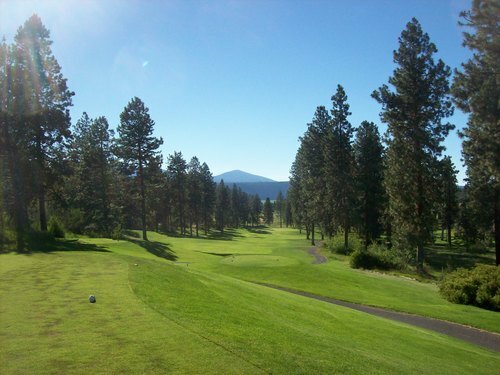 I had heard some good things about Widgi Creek as one of the less publicized “great” courses in Bend, but was really pleasantly surprised with how nice it was. 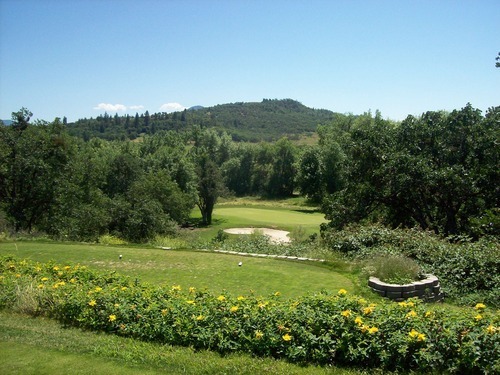 It was the best conditioned course I played all week and the layout is fun—just my style as it weaves its way through a nice forested area. I really didn’t expect much from Centennial. It’s not the most exciting links style layout you’ll ever encounter, but the conditions were excellent and it was a great experience all around. I really wanted to like Bandon Crossings and it did. I enjoyed the layout a lot and the conditioning was superb, making it a worthy option to the super-expensive resort courses in town. $30 for a noon tee time (on a perfect weather Saturday no less) at Stone Ridge was a fantastic deal on a quality course. 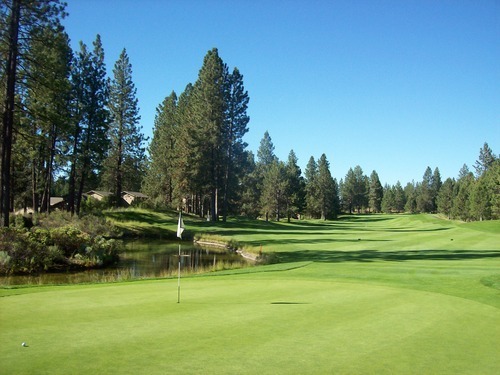 Widgi Creek offers great early bird prices and afternoon deals, making it one of the best deals in the Bend area during peak summer season. Though their normal prices are definitely inflated, the $46 I paid to play Running Y Ranch on a Saturday at twilight (3pm) is hard to beat. I booked it on GolfNow, in case you are wondering. Worth every penny and then some. I can’t say I was truly “disappointed” with any course I played on this trip, but I still include this category to provide some different perspective. For the hype that Pronghorn receives and the lofty rates they charge, it never felt like I was playing a course that is a “bucket list” type place. It is a great course with excellent conditions and top-notch facilities/service, but it just didn’t blow me away the way I wanted it to. Though Stone Ridge is a really fun layout, I was really hoping it would become one of those hidden gems that I couldn’t wait to play anytime I visited my hometown area. It is good and I’m sure I’ll play there again someday, but it’s not worth going way out of the way for. As for River’s Edge, it’s probably unfair to include it on this list because it was a late addition to the plans and I really didn’t have high expectations. I actually enjoyed it plenty, conditions were good and the scenery was great. That said, it’s probably the one I’m least likely to recommend to friends as I know the tricky layout will turn off some folks. On almost all levels, Widgi Creek was pretty much immaculate. There’s not much else to say about why I’m ranking it first. The three courses on the list above feature some of the best greens I’ve ever putted on (especially Widgi and Running Y), but Bandon Crossings’ rough was better than Running Y’s squirrel-infested outer edges, so it comes in at #2 overall here. Honorable mention here is Centennial, which was also in excellent shape. Pronghorn and Tetherow were also plenty nice. The links style at Tetherow is such a departure from “normal” golf for us Americans. It can cause you fits and inflate your score (especially on and around the greens), but it is a lot of fun to try your hand on this kind of course. Stone Ridge and River’s Edge both have some holes that many would deem as too “funky,” but you can’t spell that without “fun!” With the changes in elevation and unique hole designs, others might get too frustrated at times on these courses, but I had plenty of fun on them as I always do on “target” layouts. Tetherow wins this category, as well. My caddie there told me most people view it as the toughest course in the area, and though I think good scores can be achieved there if you have all the right shots and strategies in your bag, it is definitely a tough test of your game. 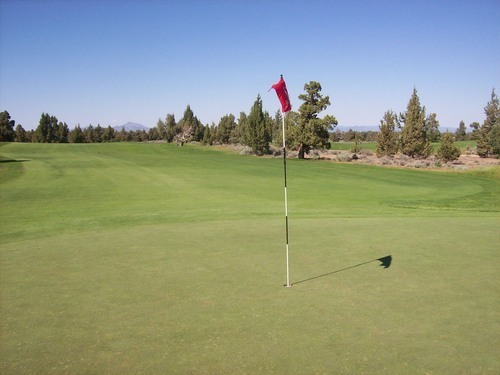 Centennial is quite wide open from tee to green, but it’s a long course that often plays with heavy winds. The greens are pretty well-protected, and they are massive and FAST. It’s not hard to get to the greens here, but getting the ball in the hole is a different story. Pronghorn’s layout perks up significantly on the back nine to feature some very interesting and tricky holes. Nicklaus always finds a way to make you work. Though it didn’t win any individual categories, Running Y scores well on all levels. When you add up all the factors, it is the winner on this trip. It’s a great layout in a great setting with great conditioning and great value to be found (with a little searching). It’s definitely one I’ll go out of my way to play again someday. Widgi Creek is a really good course, but the layout isn’t quite as dynamic as others on this list. 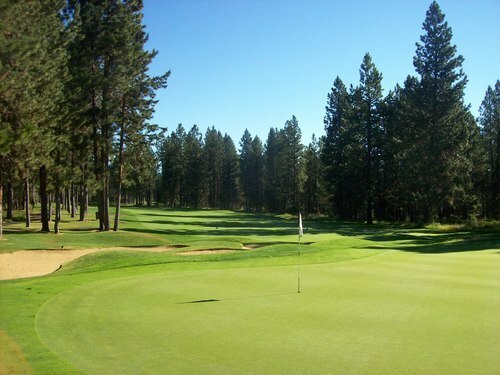 But for the price and conditioning here (as well as the beautiful forested setting), it’s one you must include when you make a visit to Bend. Easily one of the best deals in town. 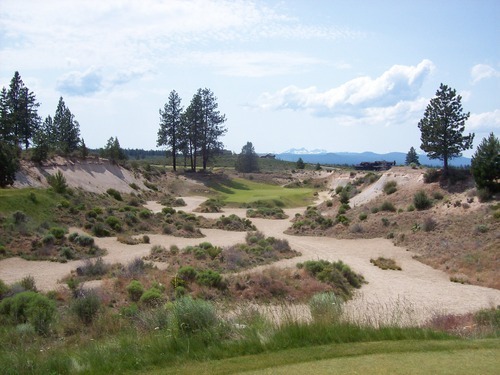 Tetherow, Bandon Crossings and Pronghorn all lived up to their reputation as good courses with quality conditioning. Though all a bit overpriced, I wouldn’t hesitate to recommend them–especially if you can find a decent deal instead of inflated rack rates (perhaps twilight rates or some other discount source).